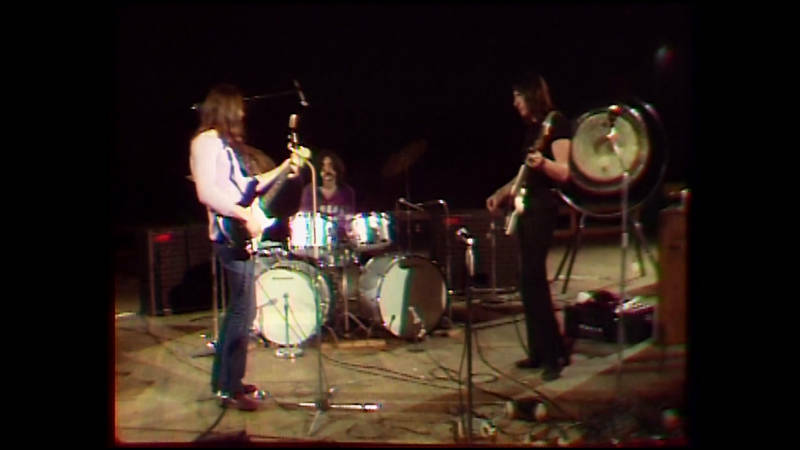 To watch previously unseen video of Pink Floyd playing "Astronomy Domine" in 1970, scroll to the bottom of the story. In the last week of April 1973, Pink Floyd’s Dark Side of the Moon reached No. 1 on the American charts. In the last week of April 1970, though, they had yet to crack the U.S. Top 50 after three years of recording and performing. In the midst of their third stateside tour, they weren’t selling out stadiums. 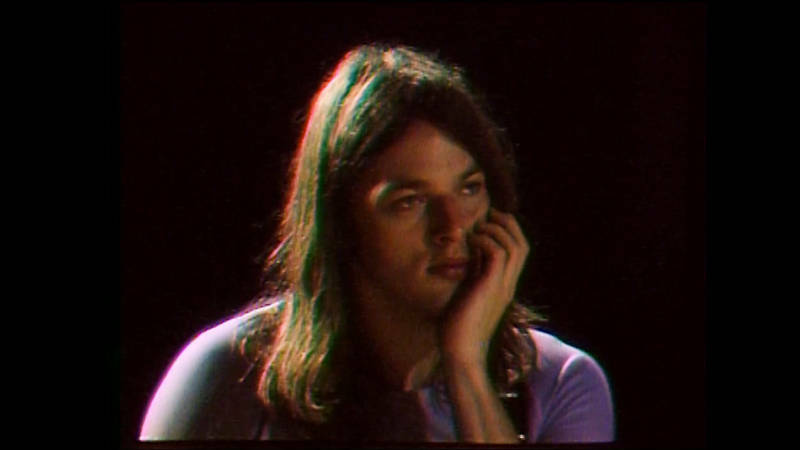 It was during this tour, on April 30, that Pink Floyd played an hour-long set in an empty Fillmore Auditorium in San Francisco, filmed for broadcast by small local television station called KQED. You might be wondering: in 1970, KQED was more known for Sesame Street than psychedelic rock. So how in the world did the Pink Floyd program happen in the first place? Simulcast on KQED radio, the special was set up as a direct result of Farber’s enthusiasm for the group. He first saw Pink Floyd in a basement club in London in 1967, when Syd Barrett (soon to be replaced by David Gilmour) was still the band’s lead guitarist and principal singer-songwriter. Unexpectedly, the program opens with aerial shots of desolate fields and marshes in the San Joaquin Valley — indeed, seven minutes of “Atom Heart Mother” pass before any of the musicians are seen on screen. 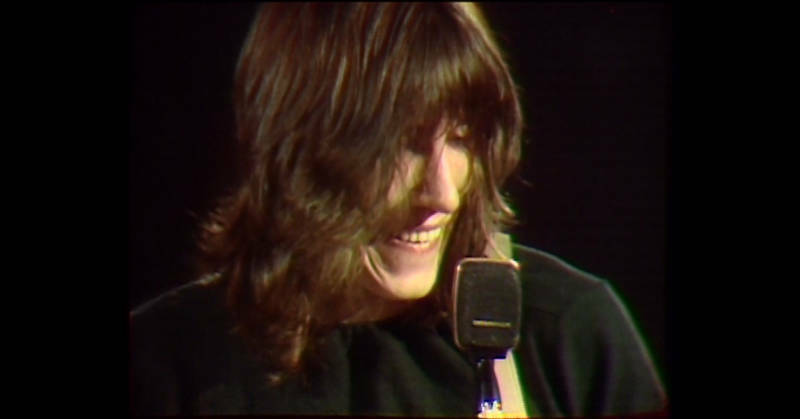 During “Grantchester Meadows,” the performance is interspersed with what Farber calls “nature footage.” The cinematography is marked by close-ups of the casually dressed musicians and slow pans around the band’s perimeter. Periodic smoke effects and solarization add to the late-psychedelic-period mood. “John Coney was doing some very experimental video work at KQED, and KQED at that time was really wide open in terms of they would let you do,” enthuses Farber. “So John mapped out a visual scheme for the production. There’s no narration, there’s not the usual PBS thing of explaining everything you’re going to see. It was very abstract. 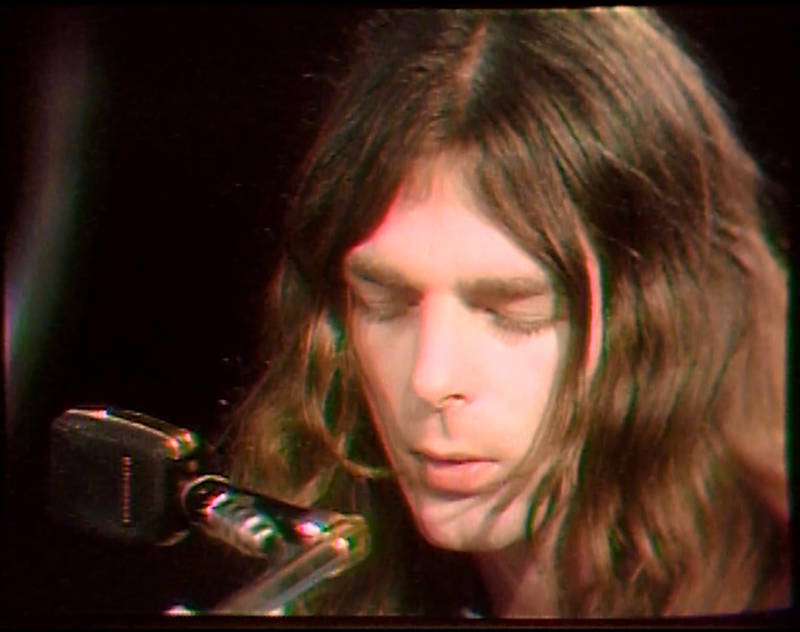 Pink Floyd's concert for KQED hasn’t been broadcast on television for many years, and wasn’t made commercially available until its appearance on a massive 27-disc Pink Floyd CD/DVD box set in 2016, The Early Years 1965-1972. But Farber recently oversaw a meticulous transfer from the two-inch masters to DVD — “we cleaned them up as much as we could and the audio is superb." “I’m amazed we got it done,” reflects Farber, now a Los Angeles-based writer. “We did it on such a shoestring, and it all came together at the right moment. You could take out certain little glitches, but I kind of like it for its roughness. ‘Cause it was a reflection of who we were at that time. 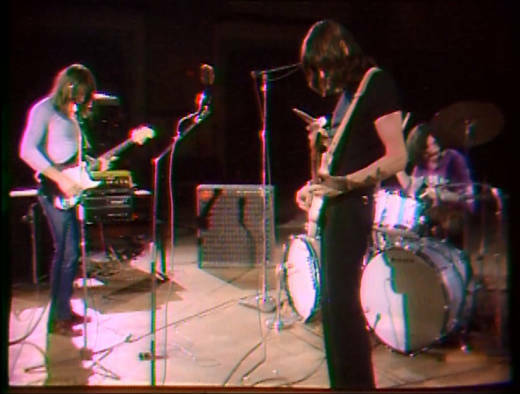 Watch Pink Floyd play "Astronomy Domine" in 1970.